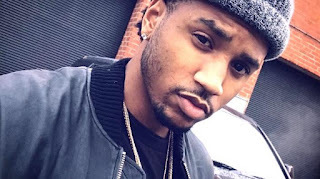 Trey Songz had an opportunity to have a felony assault charge he incurred during a post-concert meltdown, reduced to a misdemeanor, but rejected the plea deal it has been reported. Fans will recall receiving the news that Trey went off on organizers at a Detroit show he was performing at in December when they cut the lights off on him. At the time, CNN reported that Trey "began throwing objects after the venue cut his concert short due to an 11:30 pm curfew." After destroying equipment on the stage, which he has since claimed belonged to him, he is said to have punched one of the city's police sergeants. The sergeant eventually went to the hospital to be treated for a concussion, while Trey was hauled off to jail, where he remained for a short time on $25,000 bond. He with was charged with malicious destruction of property, resisting arrest and obstructing arrest. Those charges were eventually upgraded to include aggravated assault and felony assault on a police officer, causing injury. The deal offered by prosecutors would have allowed the 32-year-old singer, born Tremaine Neverson, to plead guilty to one count of attempted resisting and obstructing charges and one count of aggravated assault. But he has remained headstrong in maintaining the not-guilty plea he initially entered during his arraignment before the Wayne County Circuit Court Judge. Should the Grammy award winning singer be found guilty, he stands to face between four and five years behind bars. The plea bargain, which would compromise so that he only serves two years of probation, and undergoes anger management counseling and drug and alcohol screenings, is reportedly still on the table for Trey should he wish to avoid a trial where he risks of being sent away for a substantial period.